Hosting a first birthday party can be a little stressful, especially if you’re serving food. 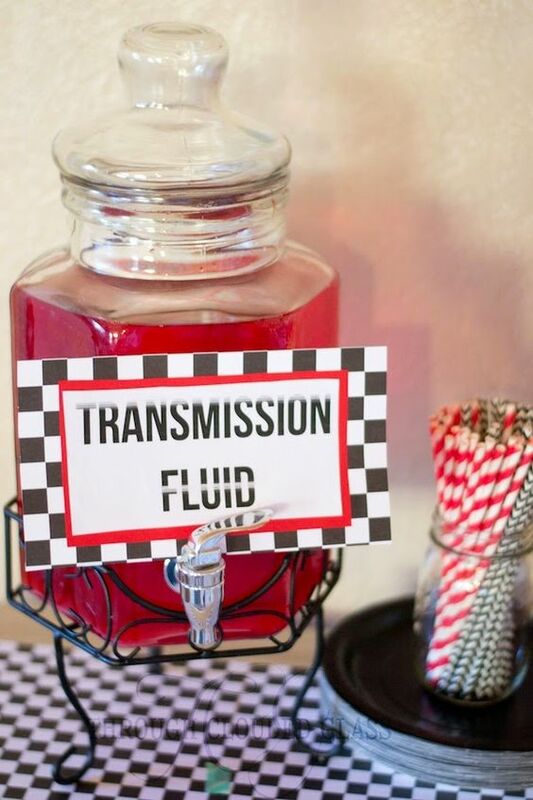 We’ve tracked down some of the most creative ideas for car-themed grub, which will leave your guests feeling fully fueled for the rest of the day. 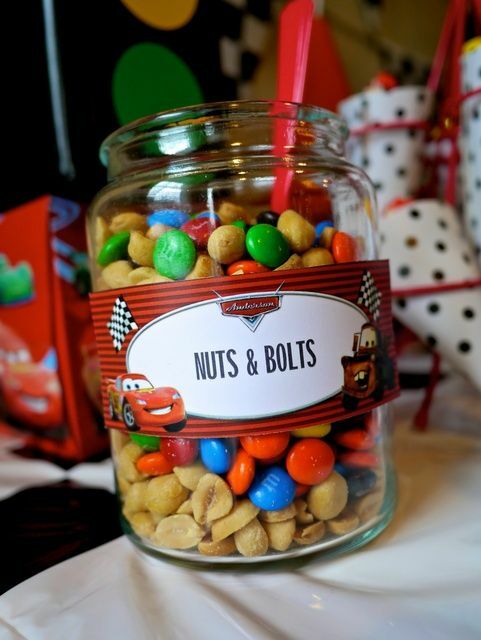 A car-themed first birthday bash not quite up your street? We have a handy list of first birthday party theme inspiration here. Feeling super lazy? 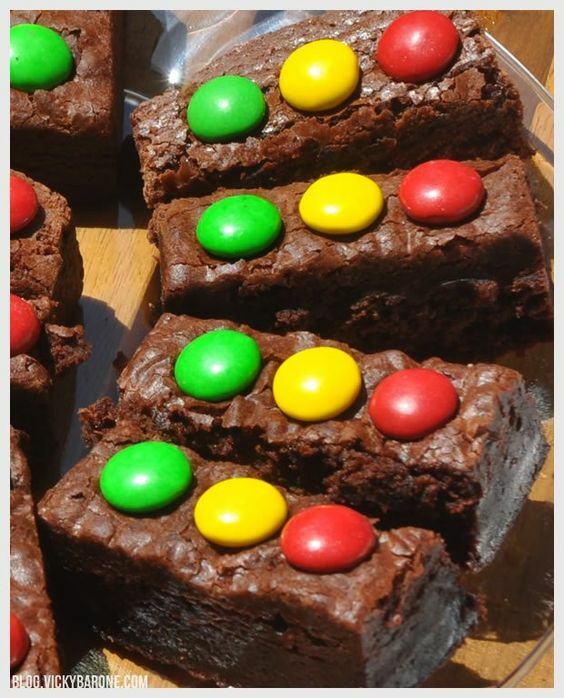 Buy or bake some delicious chocolate brownies and top them off with some red, green and yellow Smarties. 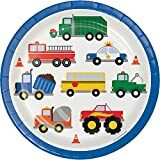 Be sure to leave out the blue ones, especially if you have a house full of toddlers. 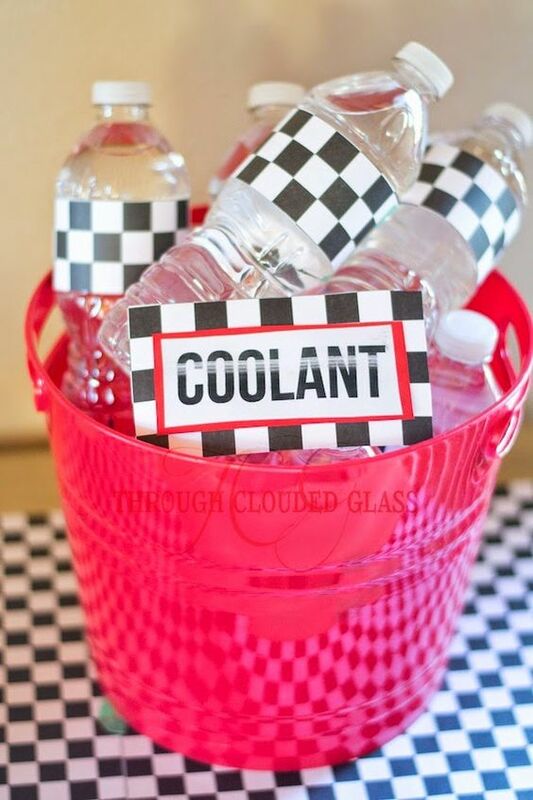 Cool your guests down with plenty of bottles of water. Dress up the bottles with some chequered bunting and you’re good to go. 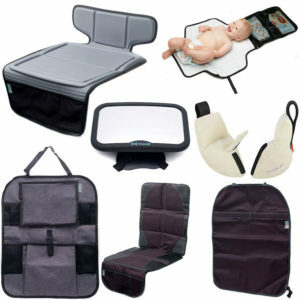 How will you entertain all of your guests? Don’t panic, we have some ideas. 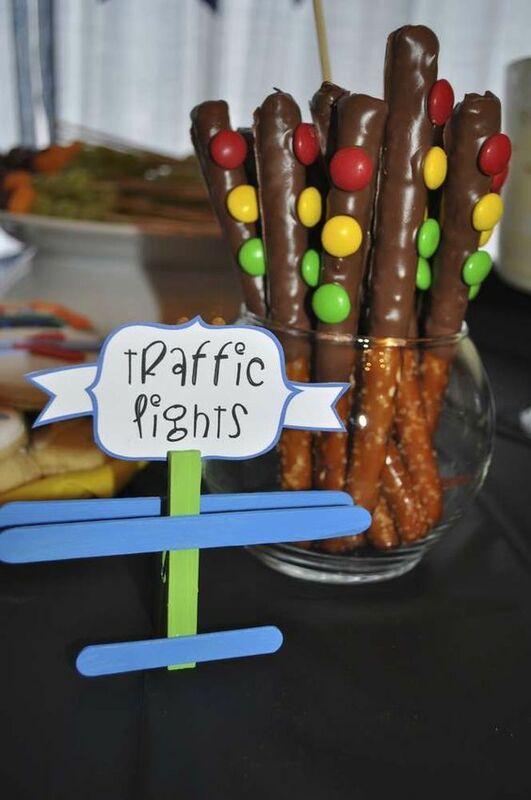 Again, with some creativity, you can transform your table into a driver’s heaven. 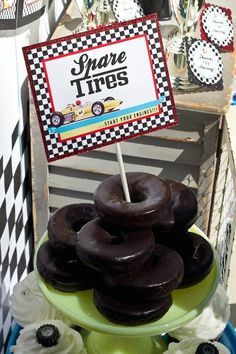 These chocolate-dipped doughnuts look like a treat to snack on. 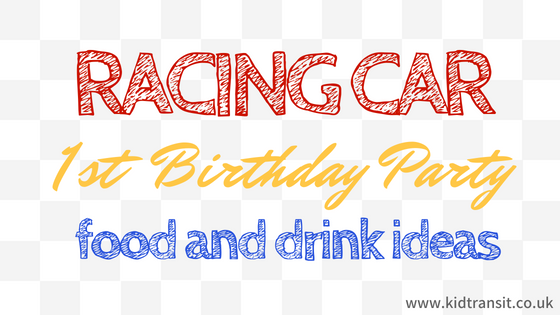 Have you thought about the birthday cake yet? We’ve got you covered. 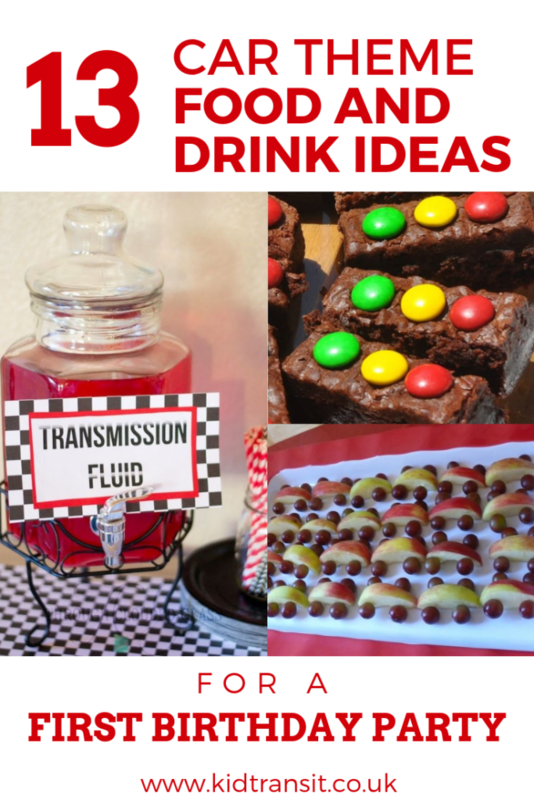 These oversized drink dispensers are perfect for big get-togethers. 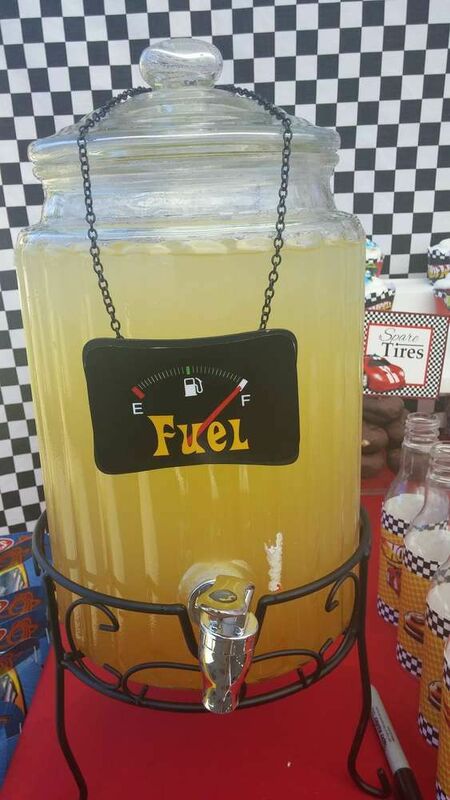 Simply fill with your favourite drink and let your guests help themselves. 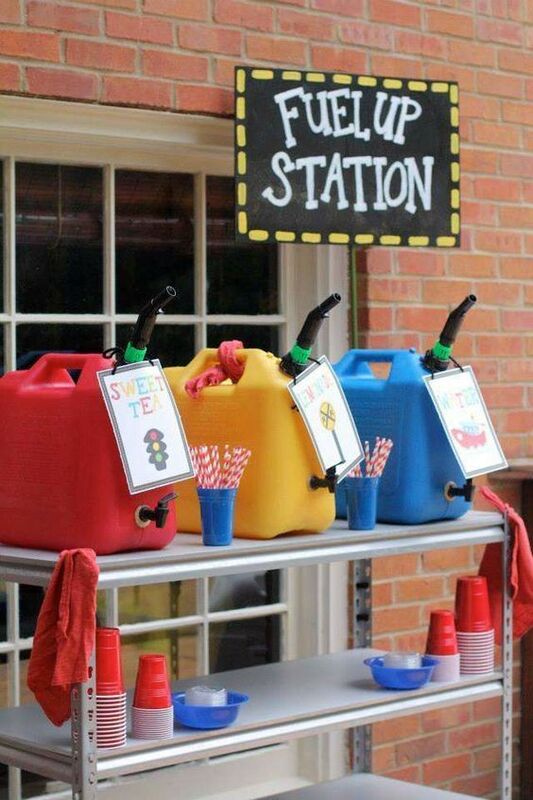 If you do have a few small children attending, be sure to have an adult supervising this station at all times. 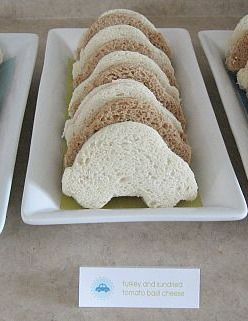 These cookie-cutter sandwiches are ideal for fussy kids who won’t eat crusts. They also look pretty sweet, too. 7. Something for the adults. 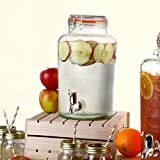 If you have plenty of fizzy pop and juice to go around for the youngsters, why not create your own cheeky punch for some of the grown-ups to enjoy? Obviously, keep this well out of the reach of little hands. After a few treats, serve up some healthy options. 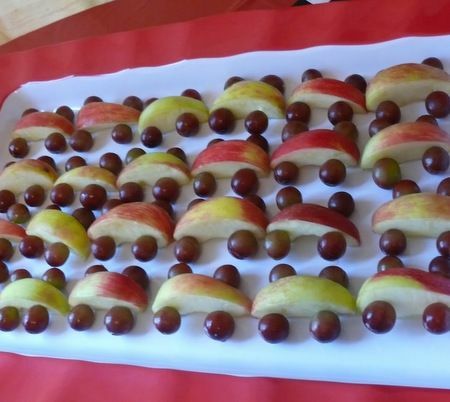 We love these fruit cars made from grapes and apples. 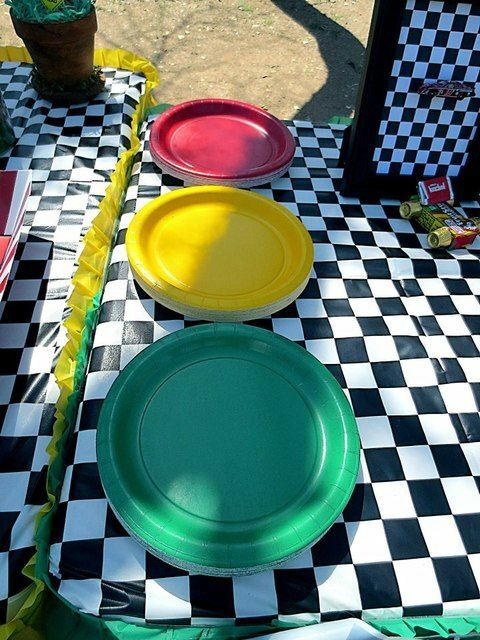 Match your plates to the rest of the party and stick to traffic light red, green and amber. Remember to thank your guests for coming with a goody bag. 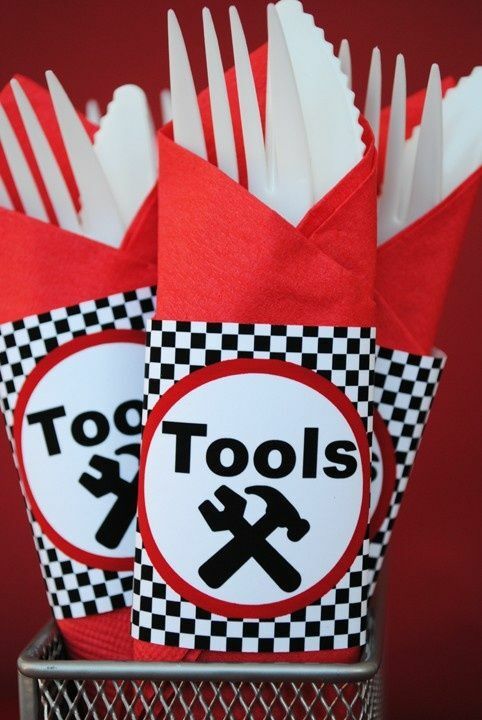 Get creative and cook up your own party snacks. 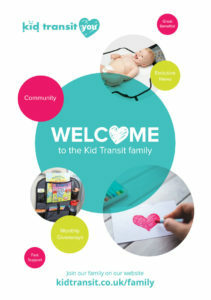 If you have slightly older children, get them involved too. 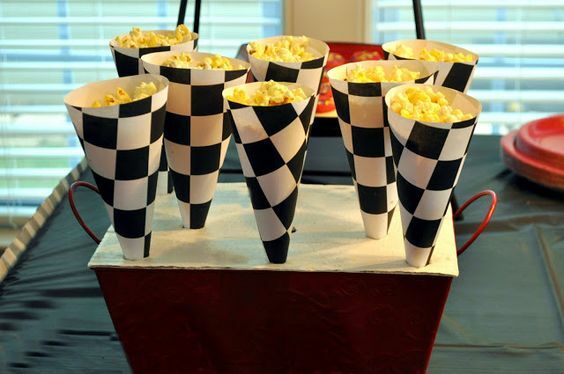 These chequered popcorn cones are ideal if you’re watching a movie. 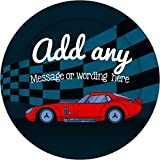 We recommend Disney Pixar’s Cars, Chitty Chitty Bang Bang and Herbie. 12. Glass jars to the rescue. Make your food look almost homemade by displaying it in a fancy jar! Just make sure these petrol cans are brand new and washed out before serving beverages in them. 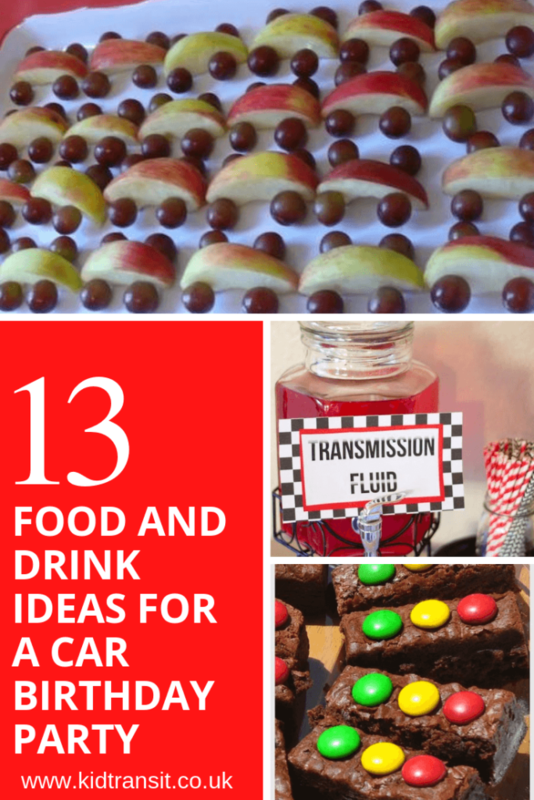 Want even more car-themed first birthday ideas? 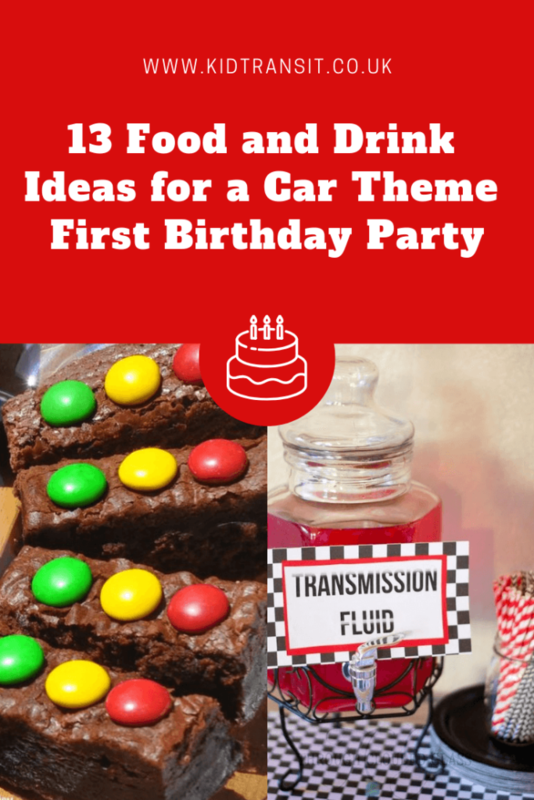 Look no further than our ultimate car theme first birthday party guide.